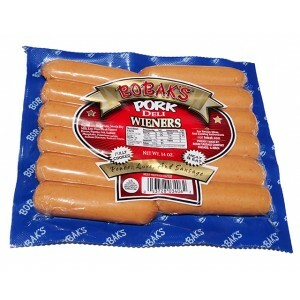 BOBAK'S - GARLIC WIENERS1 pack 2.27Kg/5lb approx. 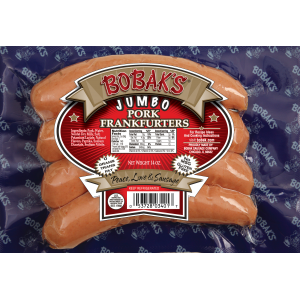 5l..
BOBAK'S - JUMBO PORK FRANKFURTERS 1 pack 397g/14oz ..
BOBAK'S - JUMBO VEAL FRANKFURTERS1 pack 397g/14oz ..
BOBAK'S - KRAKOW SAUSAGE SOLD BY WEIGHTapprox. 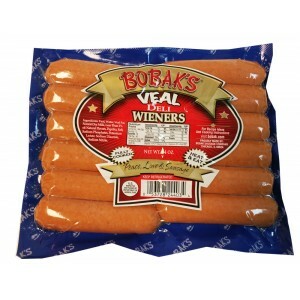 2.8lb per 1 pc..
BOBAK'S - PORK DELI WIENERS1 pack 397g/14oz ..
BOBAK'S - PORK FRANKFURTERS 1 pack 397g/14oz ..
BOBAK'S - PORK FRANKFURTERS IN NATURAL CASING SOLD BY WEIGHT 1pack 2.27kg/5lb approx. 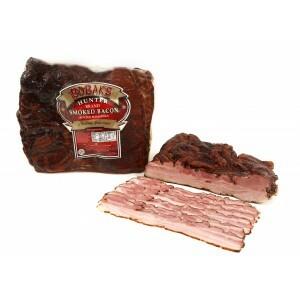 5l..
BOBAK'S - SMOKED HUNTER BACON SOLD BY WEIGHTapprox. 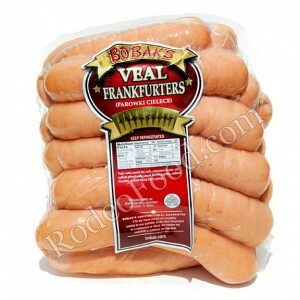 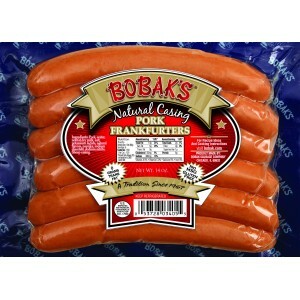 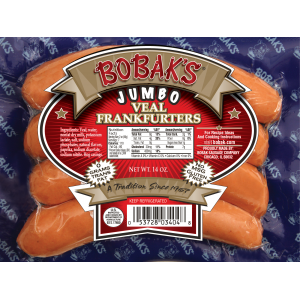 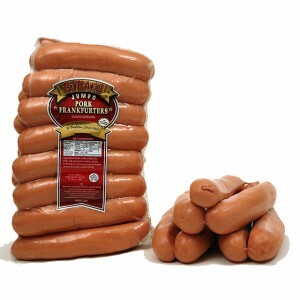 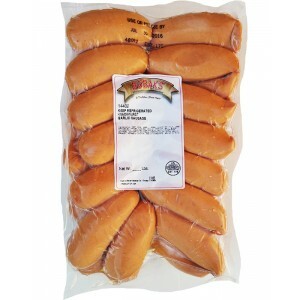 3lb per 1 pc..
BOBAK'S - VEAL DELI WIENERS1 pack 397g/14oz ..
BOBAK'S - VEAL FRANKFURTERSSOLD BY WEIGHT 1pack 2.27kg/5lb..